Critics of Obamacare warned in 2009 and 2010 that the so-called “Affordable Care Act” was merely a “Trojan Horse” that would eventually to a complete government takeover of health care. For that, conservatives were mocked and demonized. On Monday, President Barack Obama formally embraced the “public option” — a plan that failed in the Democrat-controlled Senate in 2009, and which is widely hailed as a stepping-stone to universal, “single-payer,” state-controlled health care. The public plan did not make it into the final legislation. Now, based on experience with the ACA, I think Congress should revisit a public plan to compete alongside private insurers in areas of the country where competition is limited. Adding a public plan in such areas would strengthen the Marketplace approach, giving consumers more affordable options while also creating savings for the federal government. Ironically, Obama’s article appeared just days after Oregon shut down the last of its insurance co-operatives, the latest in a long string of Obamacare failures. For Obama and other fans of socialized medicine, however, the empirical results of the policy were never really important. The goal was always to move to a single-payer system — whether by acclimatizing citizens slowly to a state-run system, or by creating new market failures so catastrophic that only a massive government takeover could save the system. 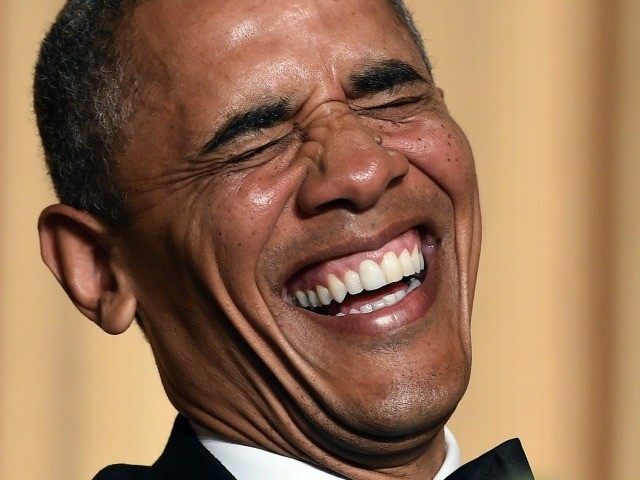 In 2009, Obama claimed that the “public option” — which would have allowed consumers to choose a government-run health plan rather than purchasing private insurance on the Obamacare exchanges — was not a “Trojan House.” He said that was an “illegitimate concern” and claimed his critics were lying. There are many other examples of Democrats admitting that the “public option,” along with other aspects of Obamacare, was a noble lie necessary to fool, or force, the public into socialized medicine. Now, Obama writes in JAMA that his approach from the beginning was to “find common ground between the public and private good and adjust along the way” (emphasis added). Obama has vindicated his critics — and set the stage for his successor to take the socialist project forward. If she wins.